Nearly all Aussies know the exotic name of the highest peak of Australia but only a small number of people can explain its origin and meaning. Several times I have met opinions that it bears an Aboriginal influence. In other cases, I have also heard that Kosciuszko was the explorer who first ascended the highest mountain of the Great Dividing Range. Visitors to Kosciuszko National Park know that Thaddeus Kosciuszko was a Polish patriot, whose name Paul Edmund Strzelecki gave to the mountain. The inscription on the Summit, which records the great Strzelecki’s words, expresses an honour to Australia, rather then to Kosciuszko. We can learn from it that Kosciuszko was a Polish Patriot – nothing more. This could mean any local Polish patriot, important to Polish people only. You cannot find any more information in any of the popular publications dealing with the Snowy Mountains. Thus, the name of the highest peak, the creek and one of the largest of Australia’s National Parks is associated with the natural features rather than with the person of an outstanding man – the world-famous man who was placed beside Washington and Garibaldi as one of the greatest men of his epoch. Later, we would compare him with Gandhi. Firstly, he was an excellent specialist, with a wide range of qualifications and interests. He was an Army Surveyor, a civil engineer, a gardener and a painter. He was born in 1746 in eastern Poland. He graduated from Cadet School in Warsaw and, as a distinguished student, he received a special „King’s Grant” for further artillery studies at Versailles, in France. He started there at a time when soldiers were considered to be intellectual first rank of society, particularly in math's, physics and applied sciences. He studied the art of fortifications under the best teachers, whose names we can still find in schoolbooks today. In France he learned architecture and painting, as well. After six years in Paris, he came back to a high position in the Polish Army. From this point, his life could have run a different course, but for a tragic romance which led to a more international career for Kosciuszko. Kosciuszko fell in love with Miss Ludwika Sosnowska, the daughter of a magnate who was not going to give his estate into the hands of a handsome and well-educated officer, who was also short of money. The young couple decided to elope, but had not enough time to cross the State border. Kosciuszko was under threat of death for the kidnapping of Ludwika and he had to leave the country. (For people interested in the history of the Snowy Mountains, it is interesting that, half a century later, Strzelecki was in a similar situation when he allegedly tried to elope with Adyna Turno. Perhaps Strzelecki noticed his affinity with Kosciuszko and, thanks to this, became more fond of him). We do not know which way Kosciuszko travelled to America. But, knowing his French connections, we can suppose that it was fixed by his friends from Paris. France, because of her conflict with England, was very interested in the independence of the American Colonies. 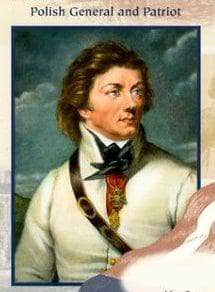 Kosciuszko was not able to take from Poland his references, but his abilities still bore fruit in his rapid promotion to Colonel, and later General in the American Army. It is a fact that, nearly straight after he left the ship, he became Deputy Engineer in Charge for the whole American Army. Kosciuszko – a friend of Washington and Jefferson – became famous because of his unconventional defensive conceptions e.g. for Saratoga and Philadelphia. His top achievement was the fortification at West Point - a work contradictory to all European doctrine and experience. It was an incredible work, ideally adapted to the topographical conditions on the steep banks of the Hudson River. The English did not dare attack this stronghold. It was at Kosciuszko’s suggestion that the Military Academy was later founded at West Point. It still educates officer-engineers. In 1828, cadets at this school pooled together for Kosciuszko’s monument. At this time, Americans had trouble with collecting money for the monument of Washington. Kosciuszko could do almost anything. In 1793, American Congress asked him to illuminate Princeton on the occasion of the Fourth of July „because no one could do it better”. During the American War of Independence, Kosciuszko distinguished himself by his competence, creative work, bravery and modesty. Part of his own rations he gave to a hospital. He also saved prisoners of war from starvation. But, at the same time, he was a very colorful person. He was an excellent swordsman, swimmer, oarsman, rider and shooter. A General who, at the age of thirty, looked like a young man of twenty, he was very popular with the ladies whose portraits he painted. In the American campaign, only one escape was noticed. That was when a few ladies banded together with the intention of examining this man’s fabulous talents! After eight years in the United States, Kosciuszko came back to Poland in 1787. The country was in an agony. Since the last big military victory at Vienna in 1683, which had halted the Turkish march into Europe, Polish socio-economic systems were in a state of crisis. Neighboring countries with growing power aimed at a liquidation of Poland. In 1772 the „First Partition of Poland” resulted in Russia, Prussia and Austria carving out parts of the Polish territory. In the 1780’s, Poland tried to implement innovatory, but late, reforms. In 1792, the „Second Partition of Poland” occurred. The monarchy, which up to 1772 had held an area twice as large as France, collapsed. The nation rose and crowds of people on the streets wanted Kosciuszko to take over. He accepted. It was too late to defeat the strongest armies in the world, but Kosciuszko created a conception in which the whole nation became trained to participate in a guerrilla type of warfare. He invented a terrible new weapon – a scythe placed upright, which contributed to effective victories in the beginning of the insurrection. In a few months he organized a war industry. In an innovatory way he fortified the capital of Poland, Warsaw, which successfully defended it against the Prussian army. His talent and qualifications as a surveyor were proved in the way he traced fieldwork accurately whilst sitting on his horse. Although he had been undefeated by much bigger Russian forces, he was eventually wounded and taken prisoner of war. His last years he lived in Switzerland where, in 1800, on the basis of his experience in the American and Polish wars, he created a military doctrine of national partisan warfare, over 100 years before Mao Tse Tung! His book first published in France (and banned) had an influence on the later history of Poland. Principles contained in this book are still used for contemporary partisan warfare against invaders. As an accessory to military professionals, the book has, perhaps, been effective in other countries as well. Kosciuszko died in 1817, recognized as the greatest hero of Poland and as one of the greatest Americans. He was an Honorary Citizen of France and could be called a Citizen of The World (his first biographies were written in Russia and Prussia). „ If, on day, by common world agreement, there should be built a temple dedicated to those who gave the greatest benefits to mankind; and if the statue of our great countryman, Washington was placed in the area designed for the most dignified, just beside him should be placed the statue of Kosciuszko ”. In the 1920’s, a popular operetta „Kosciuszko” or „The Old General” was played in London. His value has even been recognized in Casanova’s Diaries where he wrote of „everlasting Kosciuszko”. This, then, is the name, which honours the highest peak of the Australian continent and one of Australia’s largest National Parks. This is justly so, because Kosciuszko was a man who always needed a contact with nature. He designed and established parks and gardens everywhere he went, even, incredibly, amongst the rocks and cannons of West Point. In the Eighteenth Century he was one of the greatest soldiers. Today, if he were alive, it is certain that he would be counted amongst the greatest conservationists. Footnote: Let me say „thank you” to my Polish friend Stefan Bratkowski, President of the Association of Polish Journalists for 1980-81, who wrote an excellent book on Kosciuszko which I used in preparing this article. Summer Guide, Kosciuszko National Park 1983-1984. P eople of true greatness, illustrious by their deeds and examples of their lives, do not fade away. Their lives, in an exceptionally expressive manner, do not end with death. They live in the collective memory in a number of ways. They resist oblivion and transistorizes. They become a fixed element, not only of history, but also of the spiritual culture of nations. Kosciuszko belongs to people such as these, in both Polish and international culture. In the people's hearts, Kosciuszko has not died. His legend remains powerful, not only to the Poles, but also on an international scale. The swift current of Kosciuszko's story forcefully testifies to his historical merits in a variety of ways. Even if we are sometimes tempted to surmise that the legend surpasses the actual person, we should always remember that the legend never adopts mediocre people of events, but only truly great individuals.